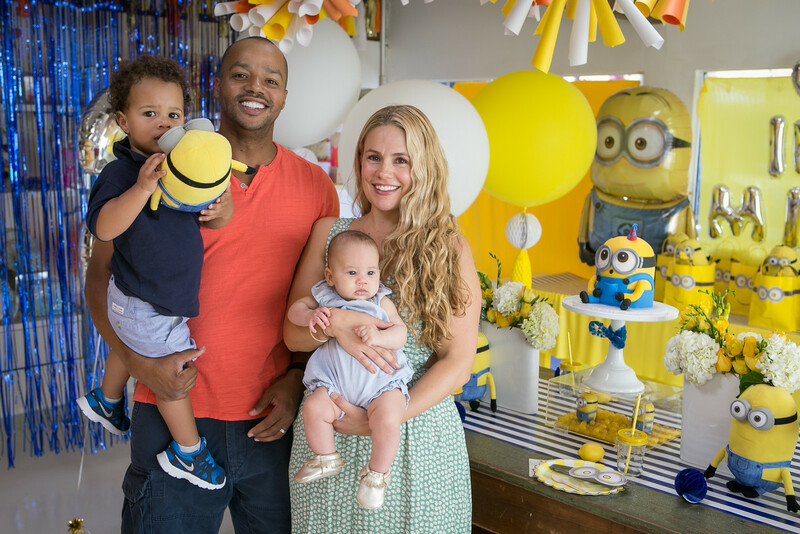 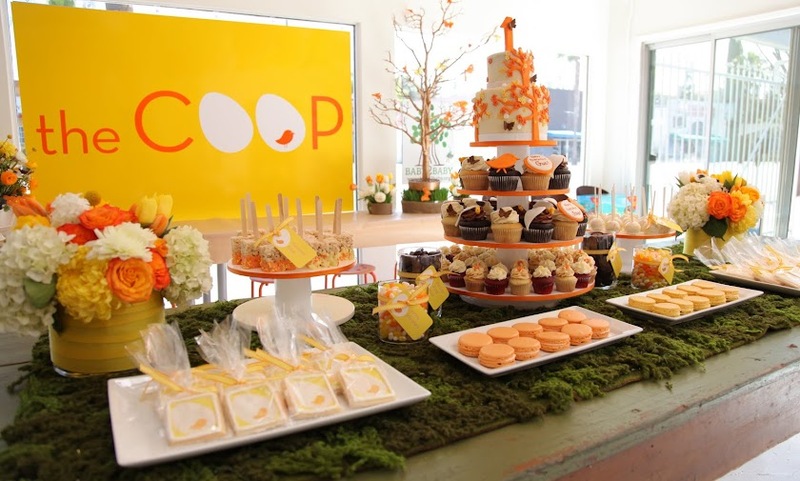 We recently created the CUTEST party for actor Donald Faison and his beautiful wife CaCee Cobb’s son Rocco. 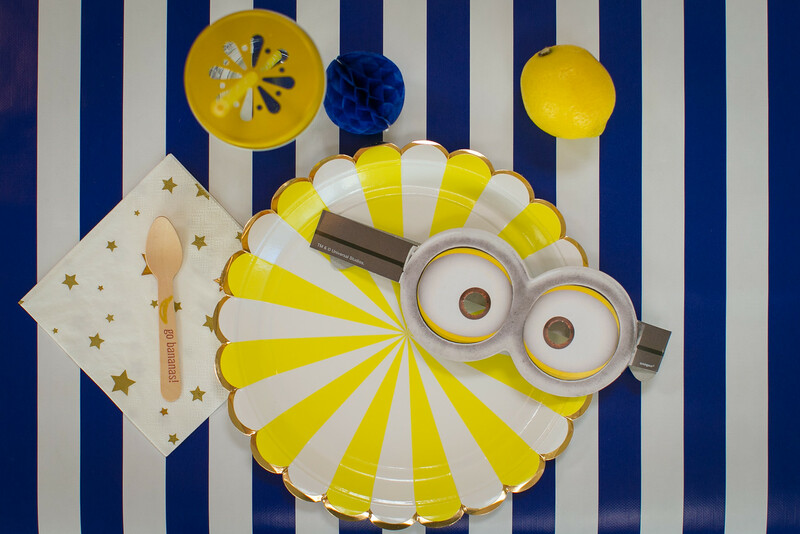 Rocco LOVES Minions so it was MINION MADNESS over here at the COOP. 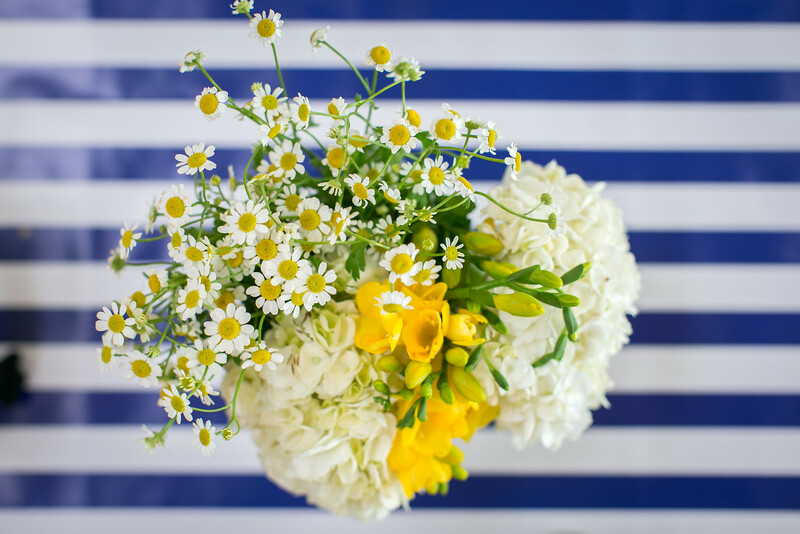 We really wanted to keep the design cool and modern so we went with navy and white runners (using easy and inexpensive wrapping paper) and yellow everywhere. 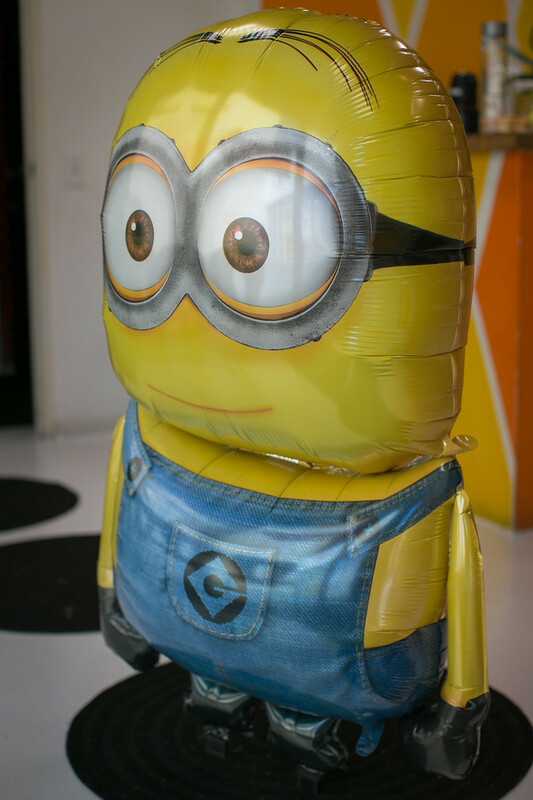 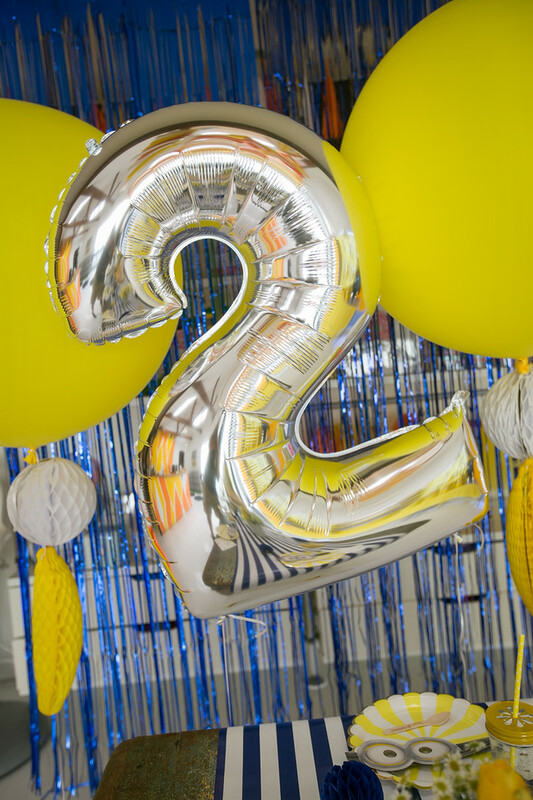 We love using 14 inch balloon letters to get our theme across so we spelled “One in a Minion” in balloon letters and placed it on a yellow backdrop. As we were blowing the balloons one of the i’s popped so we improvised with a yellow honeycomb banana shape and it made it even cooler. 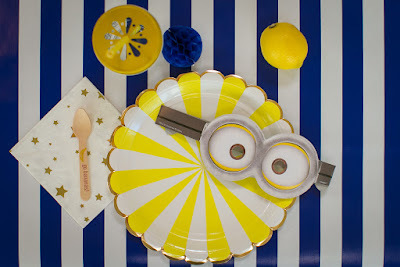 The place settings were enhanced with fresh lemons and the modern Meri Meri plates made everything POP. 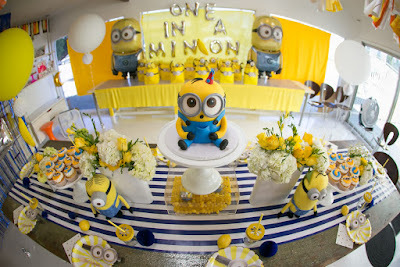 Outside we used Minion balloons to set the scene with paper fans to add the decorative elements. 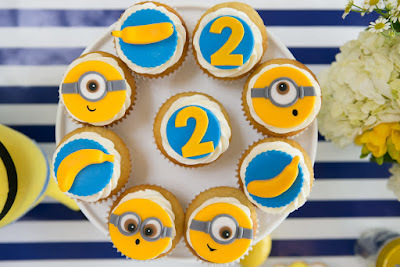 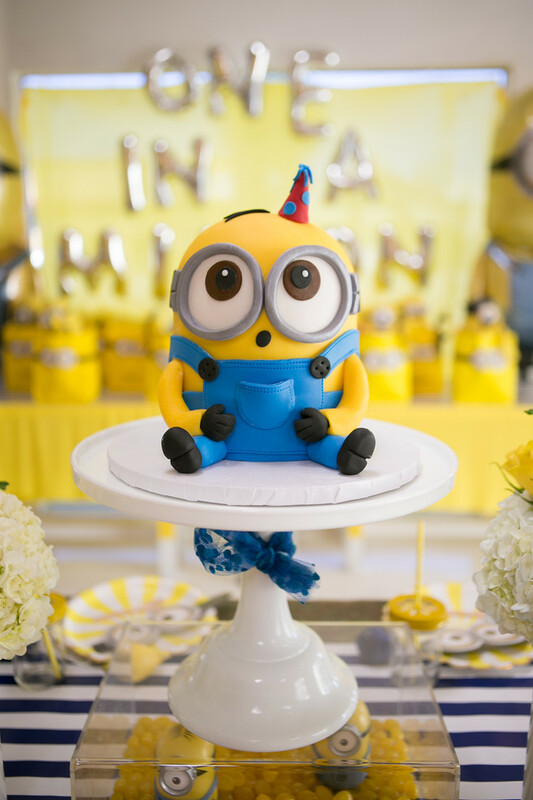 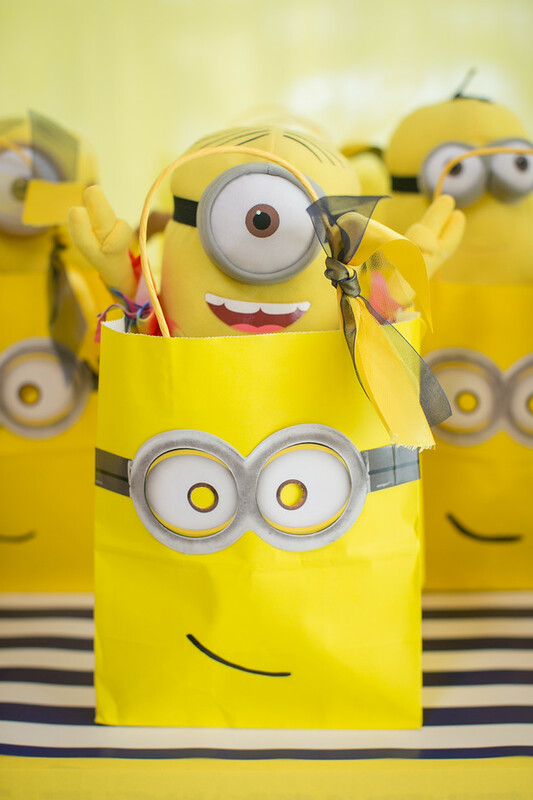 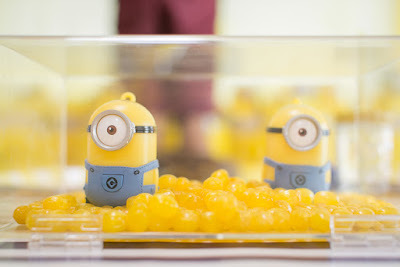 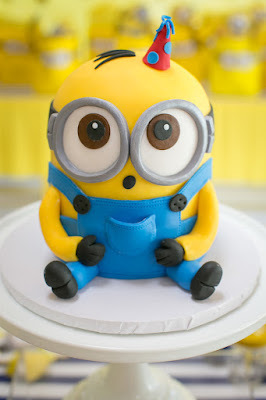 Julie of Blue Cupcakes created the most AMAZING Minion cake and everyone went crazy over it. All the little Minions went home with their very own Minion friend and some cool Minion googles”. 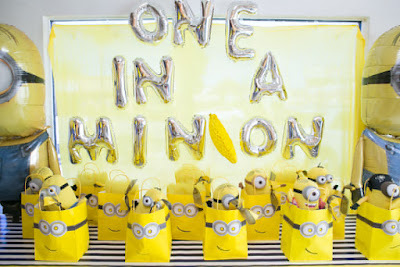 Oh how wonderful post on Minion Party. 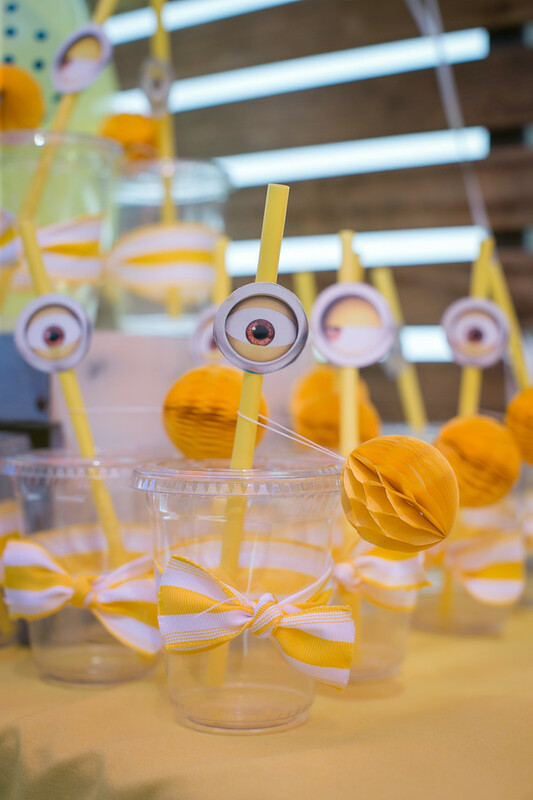 My kiddos just love minion themed parties. So last year I hosted a grand Minion holiday party at their favourite New York venues. It was truly amazing and fun party.